Canna Erebus is a Longwood hybrid. 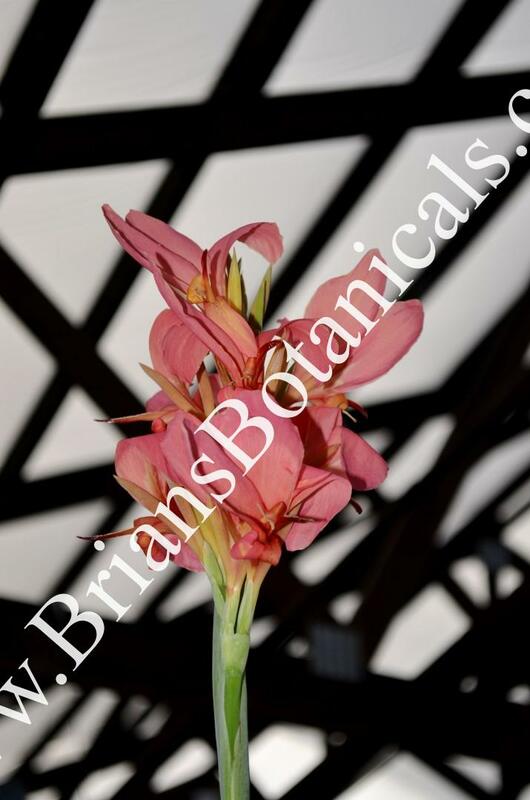 Longwood Botanical gardens has been known to breed and release new cannas to the market in the past. Most of the cannas breed by Longwood Gardens have been aquatic and this is one of the best pink flowering aquatic cannas to grow. The leaves are green and narrow with a light pale blue green color the flowers are a medium pink and held above the foliage. This is an amazing canna for ponds and any aquatic features. They can also grow in the ground as a normal canna. Hardy to zone 7 and up zone 6 if mulched for winter insulation.